Coqui frogs are a highly regarded amphibian found in Puerto Rico. Although the male’s distinct call is a very loud high-pitched repeat of its name, many locals claim the constant calling at night helps them sleep—as Dave Sobal reports in this article from The Post-Gazette. These small nocturnal tree frogs are widespread on Puerto Rico due to their unique development from eggs to adults. The eggs are laid on land where they skip the tadpole stage and hatch out as tiny frogs with small tails that disappear after a short time. Unfortunately, some species of Puerto Rican Coqui are losing numbers, and three kinds are thought to be extinct. As much as coqui are appreciated in Puerto Rico, they are not always welcomed in the other tropical island areas where they now live. Found in eight other locations worldwide, the farthest is the Hawaiian Islands, nearly 6,000 miles away and near the center of the Pacific Ocean. It is thought they were accidently introduced to Hawaii in the 1980s on shipments of plants. 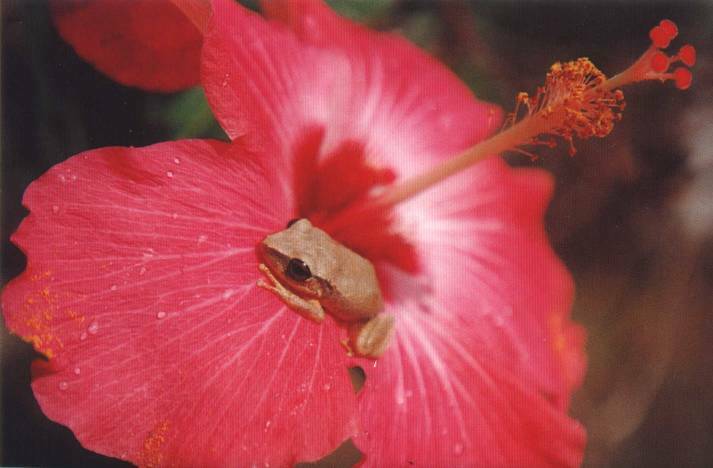 Hawaii does not have any native frogs or toads. Coqui frogs were introduced to the islands from somewhere else, so these small frogs are just another species in a long list of plant and animal invaders. They are considered an invasive species, and Hawaiians worry their constant loud calling at night will drive tourists away and they will eat too many insects. Their call can be as loud as a food blender or a garbage disposal. Because of their unique growth in the egg, these tiny brown frogs were being studied by biology professor Richard Elinson at Duquesne University before he retired this spring. Carnegie Science Center was glad to give some a new home as our newest animal ambassadors. If you have never heard them call in the wild, you might be lucky enough to hear them right here in Pittsburgh.